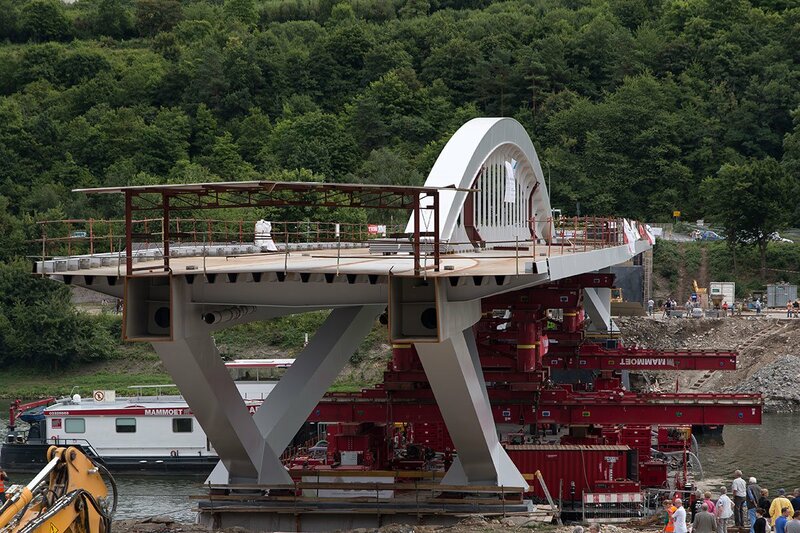 The bridge is designed for road traffic and pedestrian use and crosses the river Moselle between Luxembourg and Germany. The bridge is executed in a straight line in plan view and has a slight longitudinal inclination over the whole length of 212.50 m and a variable width. The construction consists of main box girders, arch and suspension elements, transversal welded T-girders and orthotropic deck. 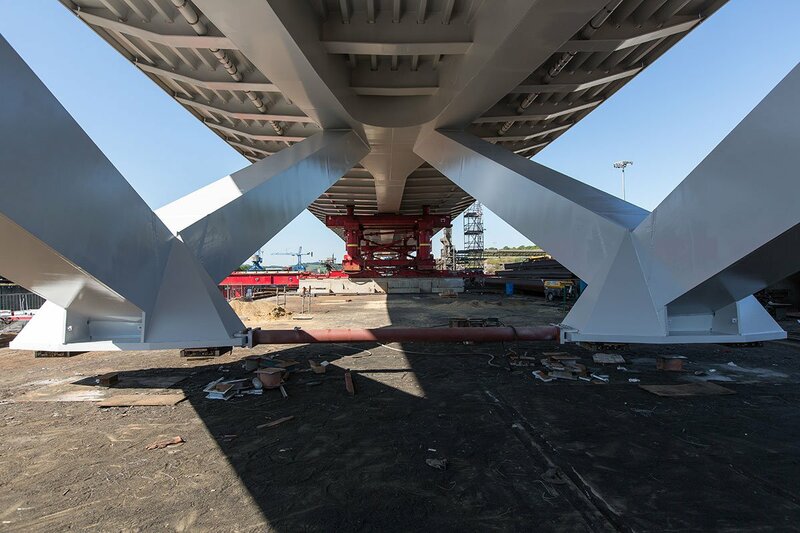 The centre part of the bridge was assembled in the port of Mertert and transported to the final site by ship over the river Moselle, where the centre bay and the 2 approach bays were welded together. 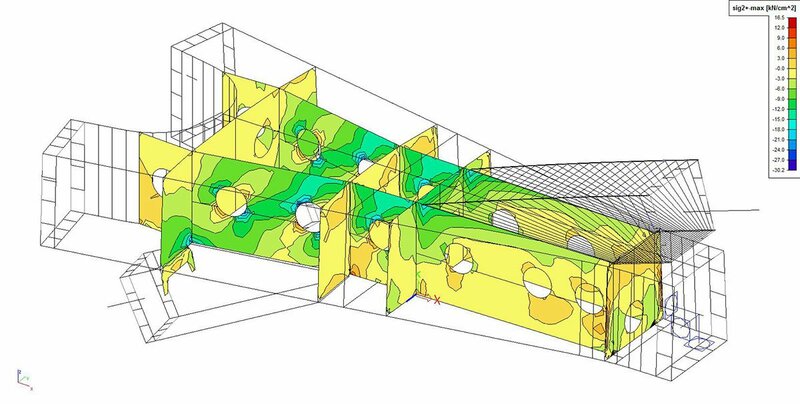 Several models in SCIA Engineer are established to analyse the structure. 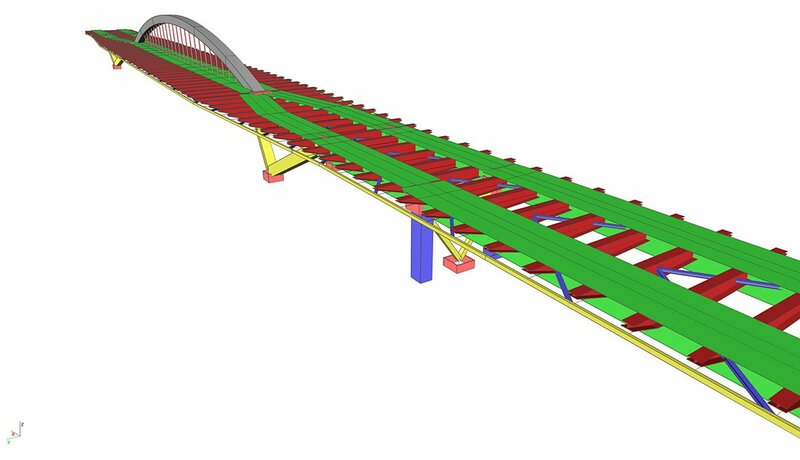 The main part of the bridge, consisting of the longitudinal box girders, the transversal beams and the arch with the suspension elements, is introduced as beam elements in a 3D model. 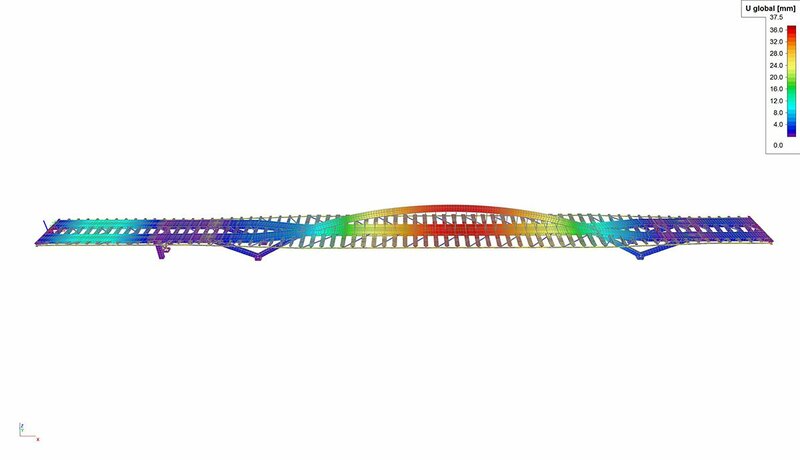 The junction node of arch and girders is analysed by finite elements. One challenge in the modelling was to take into account the different construction stages. This was made easy by Scia Engineer as it allows all the construction stages to be seen in one model. 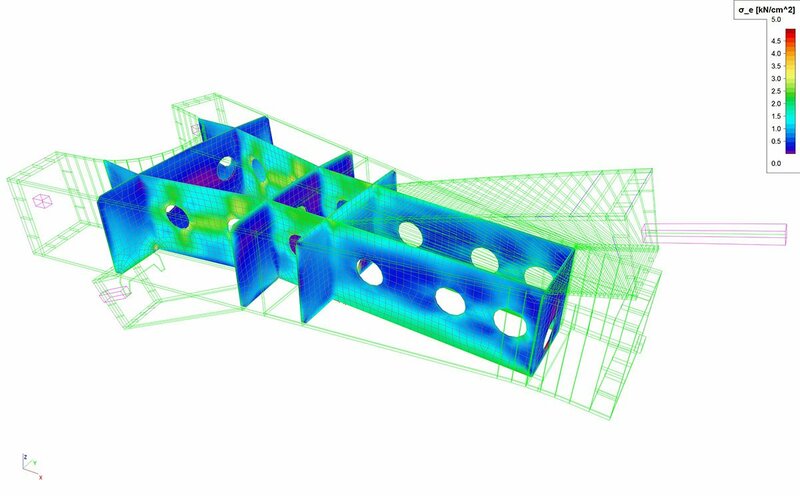 The deformations for the different construction stages and the final stage from the SCIA models corresponded to the measured deformations on site.